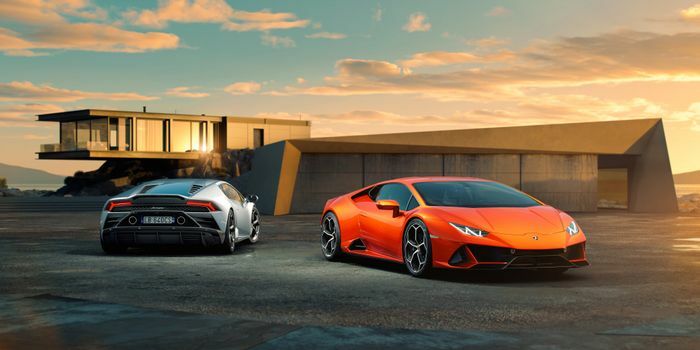 We had been assuming that Lamborghini’s updated Huracan would be given a token 10bhp boost to bring it in line with the Audi R8 Performance. But no - Sant’Agata Bolognese has gone and given the Huracan ‘Evo’ the same spec engine as the Performante. Praise be. The Evo’s 5.2-litre, mid-mounted V10 produces 631bhp, an increase of 29bhp. 0-62mph takes 2.9 seconds - an improvement of 0.3sec - while the top speed remains 201mph. It should sound better too, thanks to the new, repositioned exhaust system. 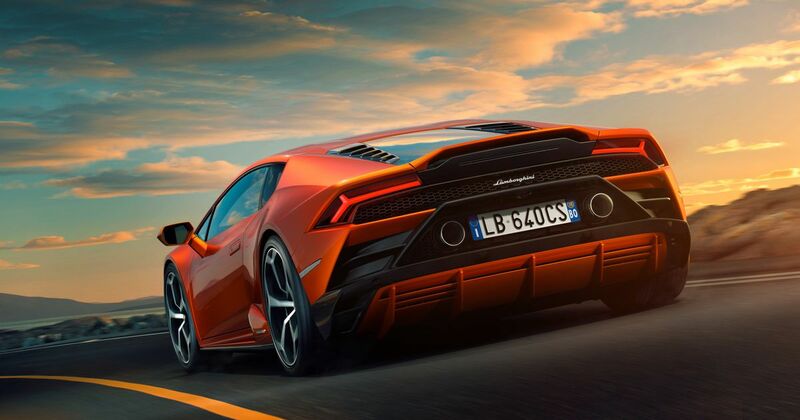 The Lamborghini Piattaforma Inerziale (best just call that LPI) pack of accelerometers and gyroscopes has been updated, along with the adaptive dampers it communicates with plus the controversial Dynamic Steering. 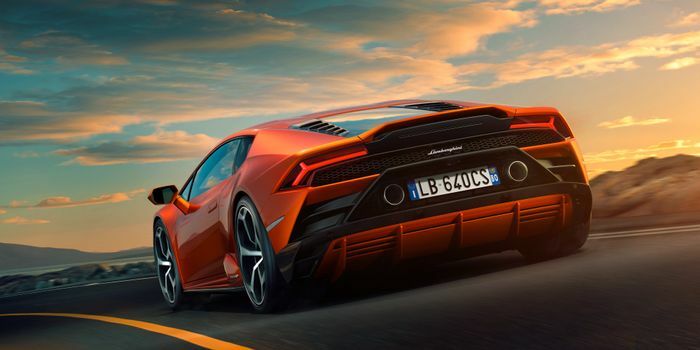 The aero side of the equation has been in for a particularly substantial fiddle. 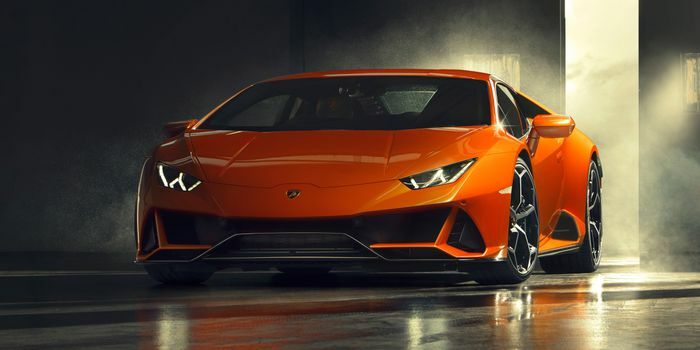 You’ll find a new bumper and splitter combo at the front, re-shaped air intakes at the side and a redesigned rear that’s supposed to echo what Lamborghini dubs the “naked” look of the GT3 racing version. Naughty. While looking at the motorsport-inspired rear-end, you’ll notice the neatly integrated “slotted” spoiler. 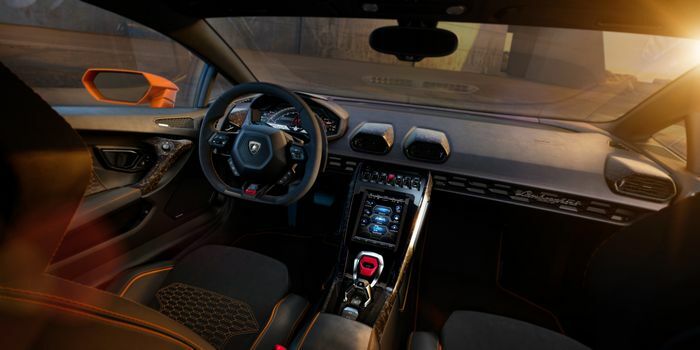 The interior has been improved via the fitting of a new 8.4-inch touchscreen, which can also be operated using gesture control. The screen can be paired with an optional two-camera telemetry system, should you be the sort of person who likes boring friends about whatever you did at your last track day. The car you see here is daubed in ‘Arancio Xanto’, a hue which makes its debut on the Evo. 20-inch ‘Aesir’ rims are now on the menu too, along with an Alcantara/leather interior trim specific to the Evo. Like what you see? You’ll have to part with £165,256 before taxes and options.